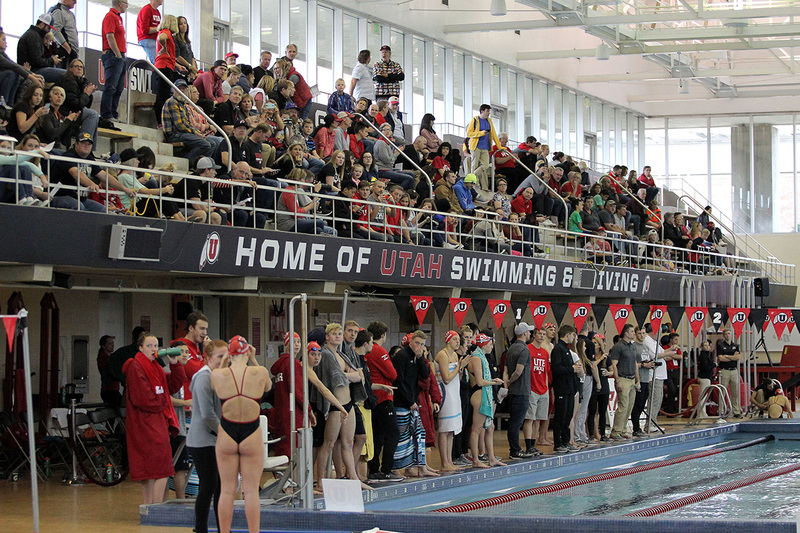 The fan-friendly venue is situated in the heart of Utah’s competition sites. 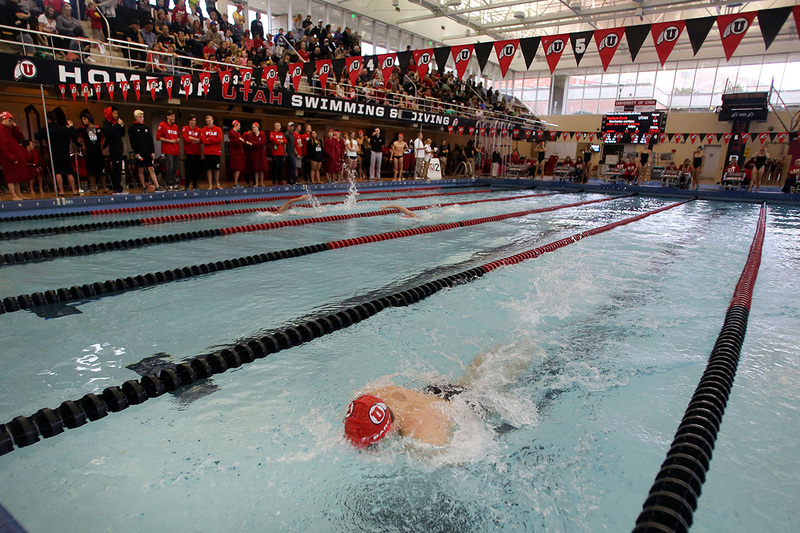 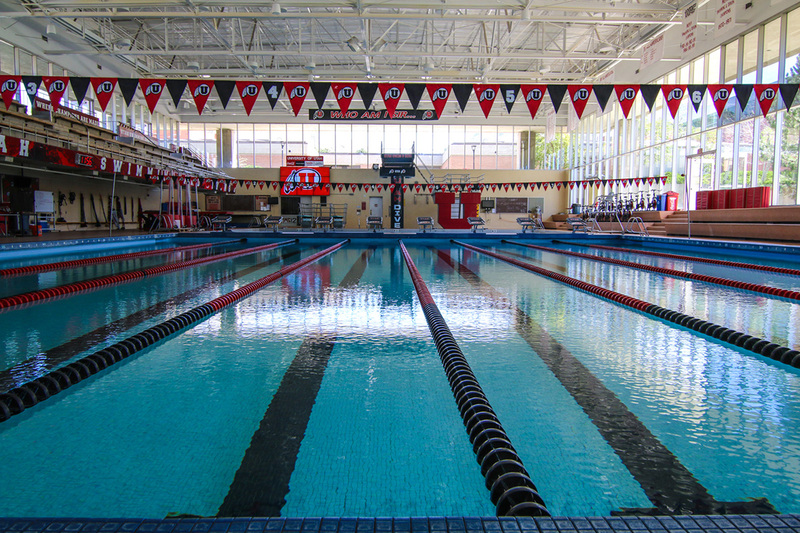 It was built in 1968 and has been the home of numerous championship events, including the 1970 NCAA Championship Meet. 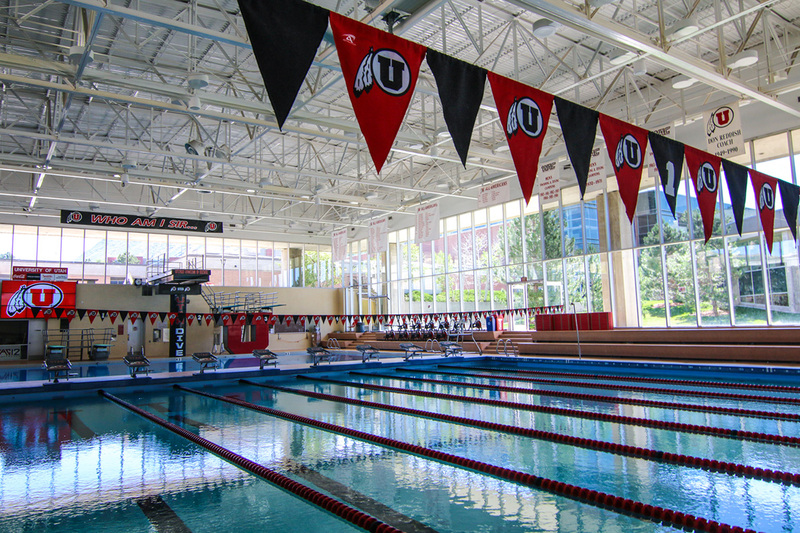 Ute Natatorium contains three pools: a six-lane, 25-yard training pool; an eight-lane, 25-yard competition pool; and the 20x15 diving well, which reaches a depth of 16 feet and offers two 1-meter boards and two 3-meter boards. 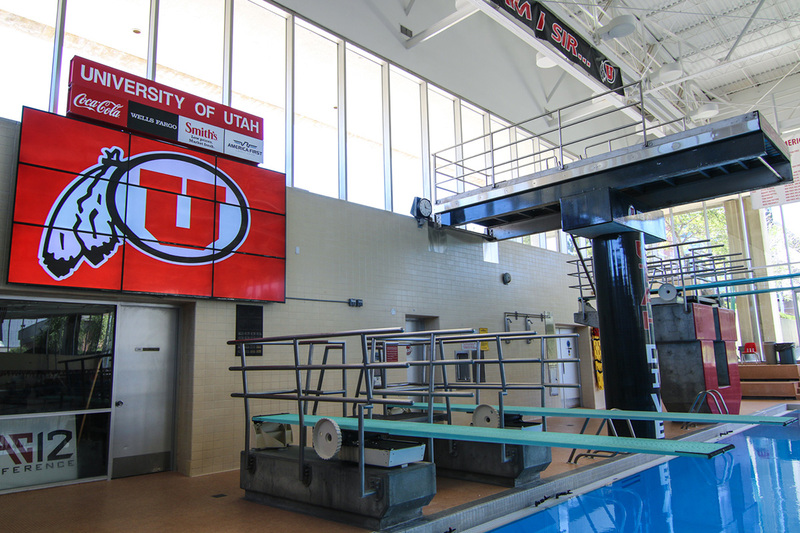 The block U shaped platform with board extending from the top of both sides added to the home-team atmosphere. 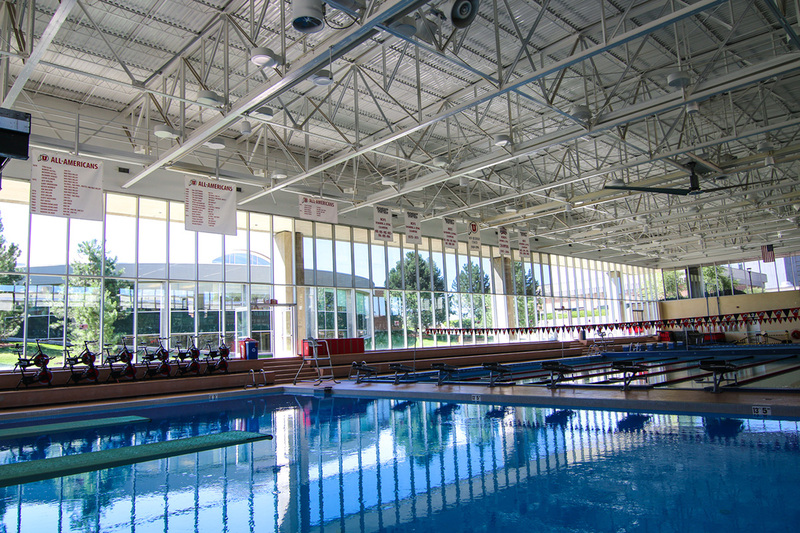 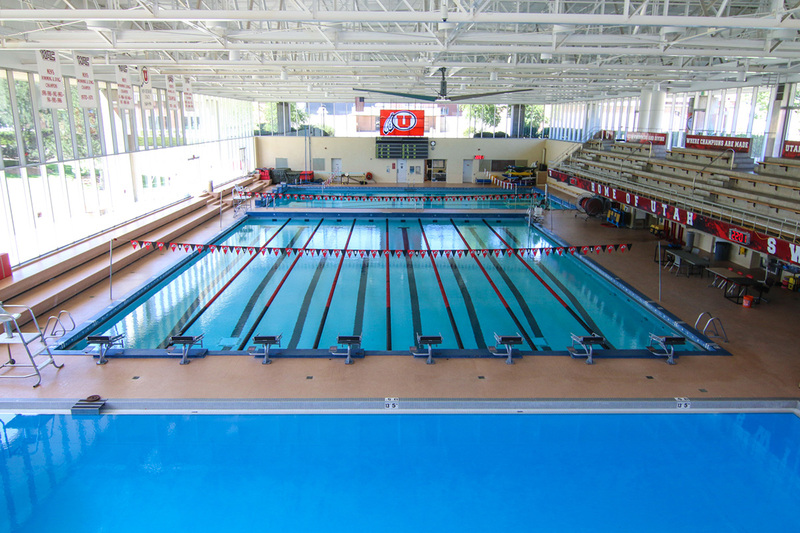 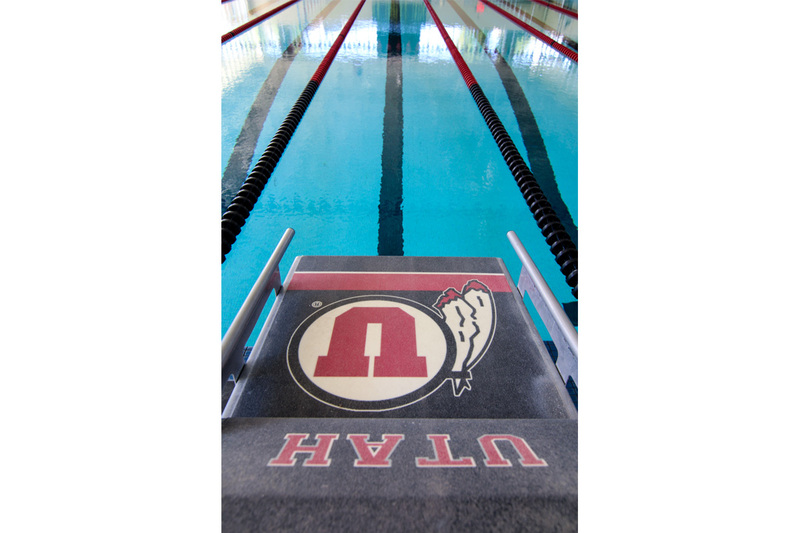 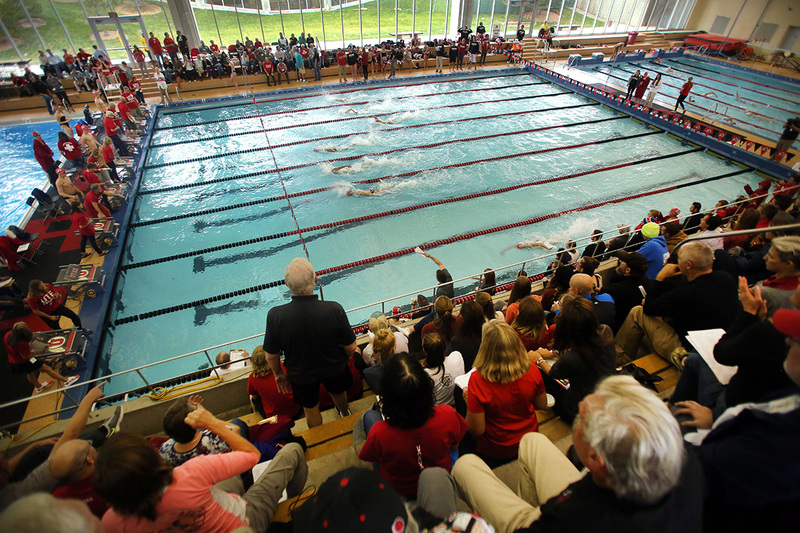 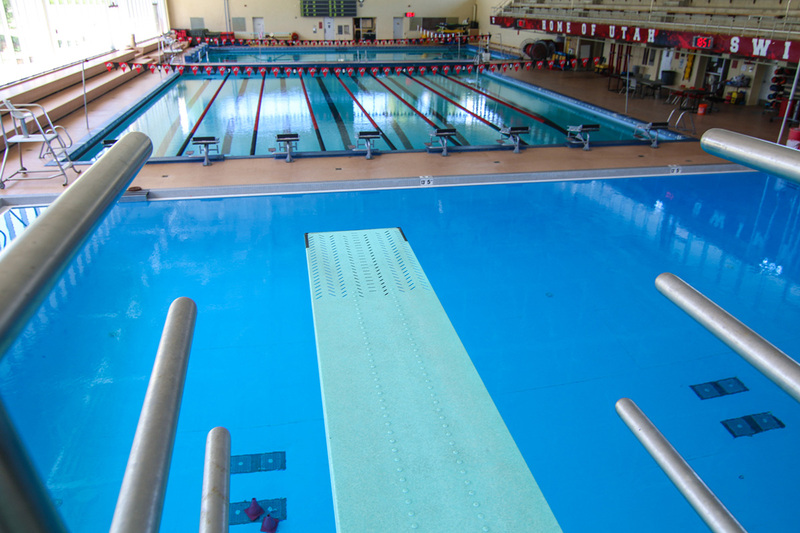 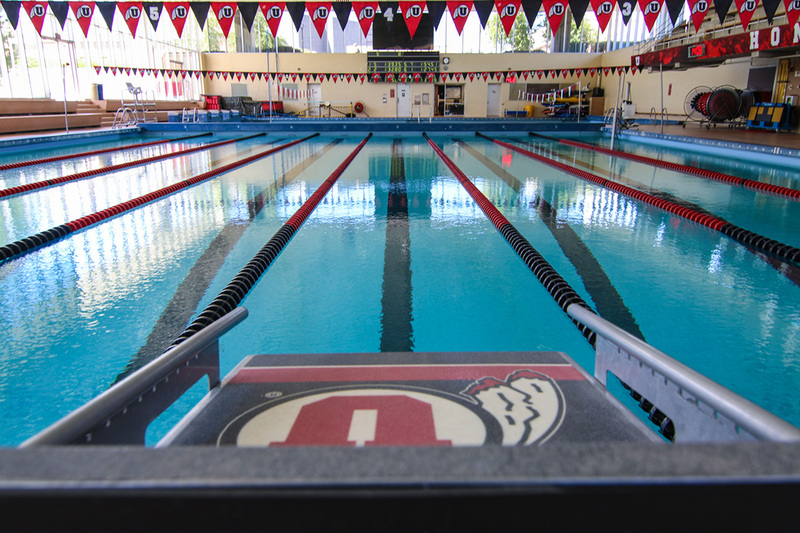 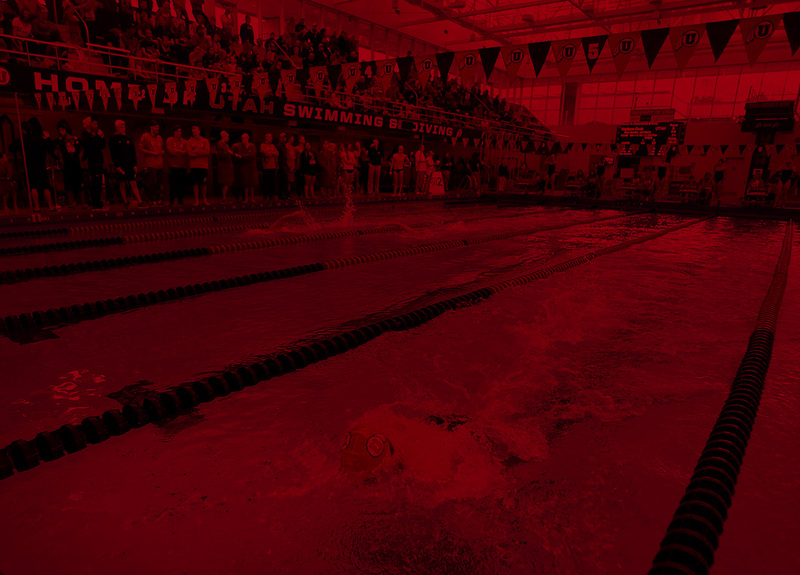 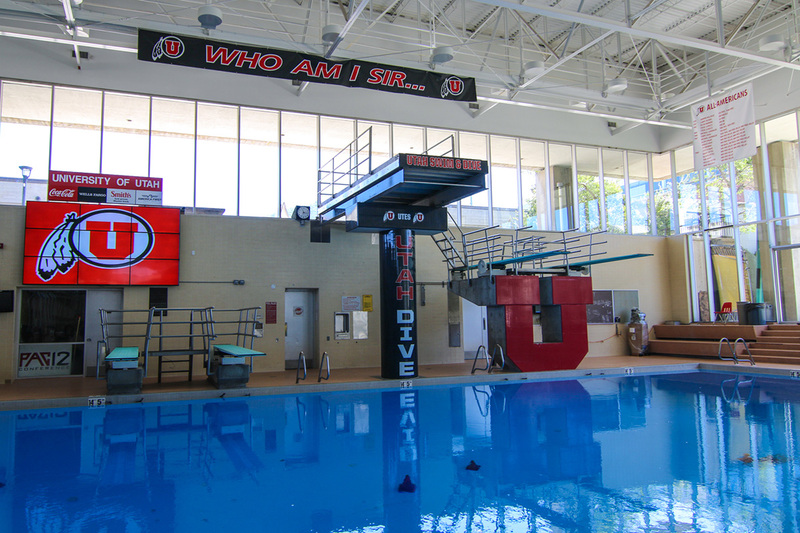 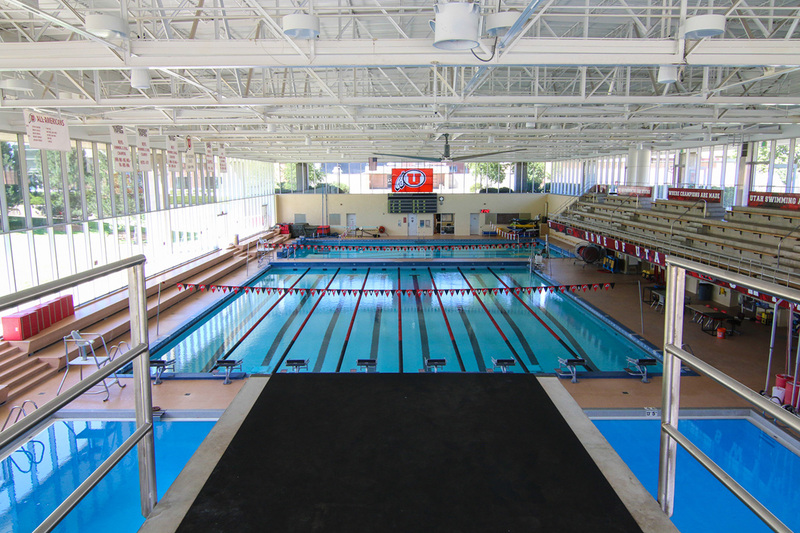 Ute Natatorium contains three pools: a six-lane, 25-yard training pool; an eight-lane, 25-yard competition pool; and the 20x15 diving well, which reaches a depth of 16 feet and offers two 1-meter boards, two 3-meter boards, and a new 5-meter board. 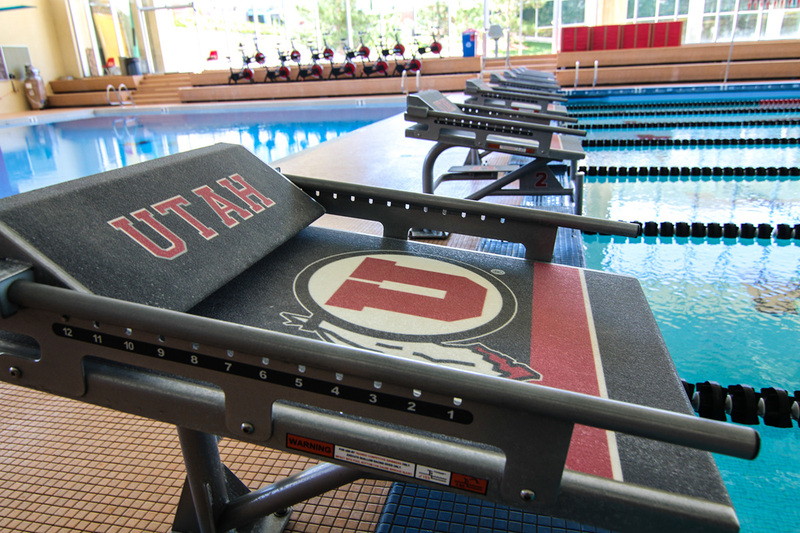 The block U shaped platform with board extending from the top of both sides adds to the home-team atmosphere.